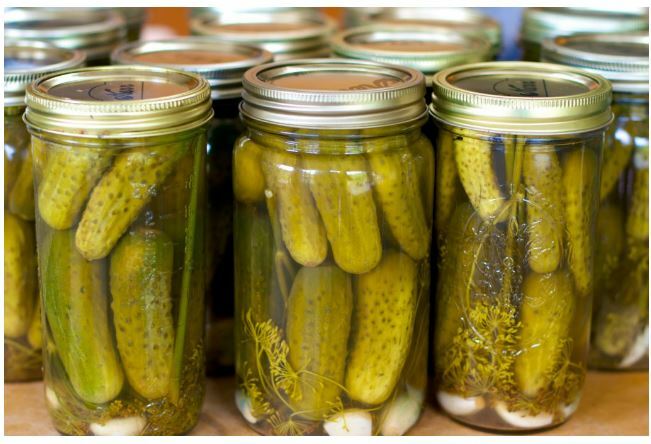 Can You Make Pickles with Leftover Pickle Brine? 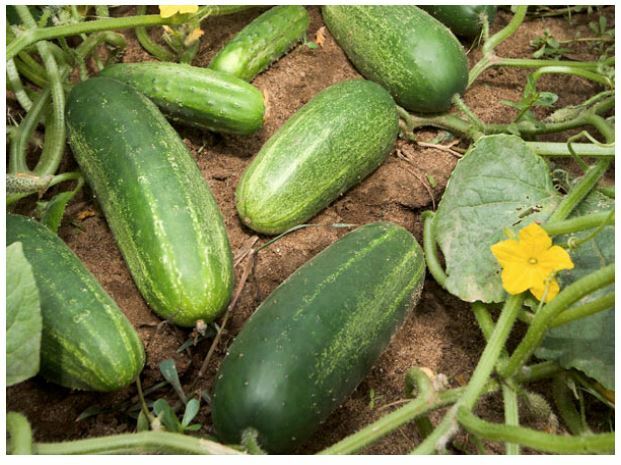 Lots of cucumbers are grown in home gardens with the express purpose of eventually making pickles out of them. Probably some of the best pickles you and I have ever had were home-canned. And besides superior taste, we all know that home-canning of home-grown produce of any kind saves a lot of money. And so it was with this frugal mind-set, and my mind being on pickles, I wondered if leftover pickle brine could be re-used. It seems such a waste to throw out this perfectly good liquid. Well, the folks at America’s Test Kitchen wondered the same thing so went to work looking for an answer. 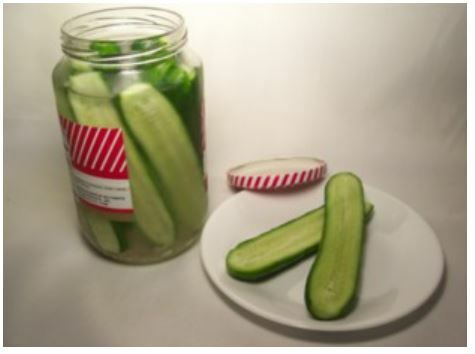 They tried quick-pickling cucumber slices in leftover brine using two common methods. For the first batch, they put fresh cucumber slices right into the leftover brine. For the second, they brought the leftover brine to a boil and then poured it over cucumber slices that they had salted and left to drain for 1 hour. They refrigerated both batches for 24 hours before sampling them. But here’s what the Test Kitchen experts found did work for making quick pickles from leftover brine: They tossed cucumber slices in a colander with salt. They used 1 1/2 teaspoons per pound of cucumbers. They let them sit for 1 hour. Then they transferred the slices to a jar. Next the researchers brought the leftover brine to a boil and poured it over the pickles. They sealed the jar and refrigerated the pickles for 24 hours—the recommended time before you’d want to eat them. The Test Kitchen folks liked the results of this test very much. 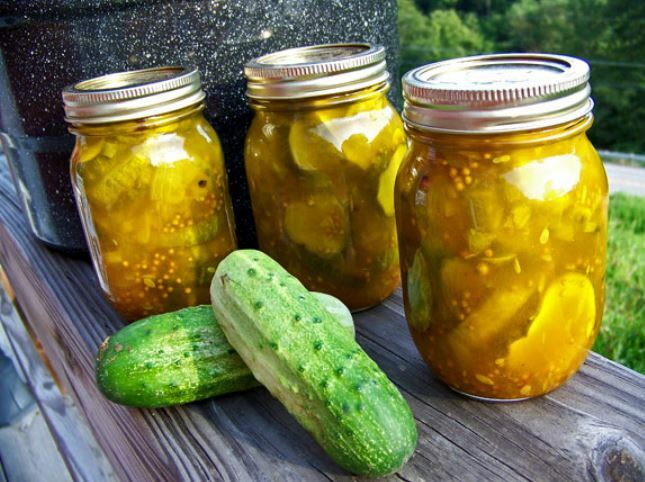 So the answer to the question—YES, leftover brine can be used to make pickles, but they said the brine ought not to be reused more than once. And they found that these pickles can be kept refrigerated for up to 2 weeks. Before closing, there’s another nagging question that should be addressed: Is there any nutrition in a pickle? To accurately answer this, we have to look at all factors. First, the bad side to pickles. This food is very high in sodium. A moderate amount of Vitamin C is lost in the pickling process. And if it’s a sweet pickle we’re looking at, then all the sugar used in the recipe has to be factored in—not a good thing. But happily, there’s a positive side to report. Pickles are low in saturated fat, and very low in cholesterol. They are a good source of Vitamin A, iron, potassium and manganese. And they are a very good source of dietary fiber, Vitamin K and calcium. Finally, there’s the calorie count: One dill pickle spear contains just 4 calories, and a 1-cup serving of dill pickle slices contains only 19 calories. So overall, pickles make a more than acceptable snack! So back to the garden and growing cucumbers. Yup, this is the year of the home-canned pickle—why not? They’re a darn good snack and it’ll be easy and cost-affordable because I’m saving and reusing the leftover brine from that jar of Clausen pickles we just finished!